It is commonly taught that we are to “partner with God”, but there is another layer that needs to be added in time. That is “God beginning to partner with us”. I believe, the process that every believer goes through is this – first slave, then servant, then disciple, then son, then friend then father. Jesus Himself went through the same process for us on earth. Who, although he existed in the form of God, did not regard equality with God a thing to be grasped, but emptied himself, taking the form of a bond servant and being made in the likeness of men. Being found in the appearance as a man, he humbles himself by becoming obedient to the point of death, even death on a cross. He started as a servant. He then took thirty years learning to be a son, and then after He was baptized, He started learning to be a Father. All of us are in one or more of these stages. The more we mature in this, the Lord will decrease how much He tells us what to do in our daily lives. It moves more from guidance to fellowship. I believe that there is more communication based out of relationship rather than the need to follow blindly. It moves progressively into the Lord saying to us, “Walk with Me, let Me show you who I am, who you are, what I have for and not just what to do”. Yes, there is still instruction and correction by the Lord. If not, then we have walked away from Him and in a wrong direction. older they get the less we instruct them, and we show them how to make good decisions for themselves. Yes, they will make wrong decisions, as we all do, and we should always be there to love them, help them correct their mistakes and never reject them. If we continue to primarily instruct them, we raise weak, co-dependent children, not truly inter-dependent, sensitive, mature and strong. I feel that the Lord is the same with us. As we mature He asks us questions, “What do you think about this or that?”, just as He did many times in the Bible. He doesn’t ask to just get an answer only, but He is also trying to reveal to us how He thinks and feels. The Father also shows us how much He values us, how we think and feel. As imperfect as we can be at times, He still shows us great value. 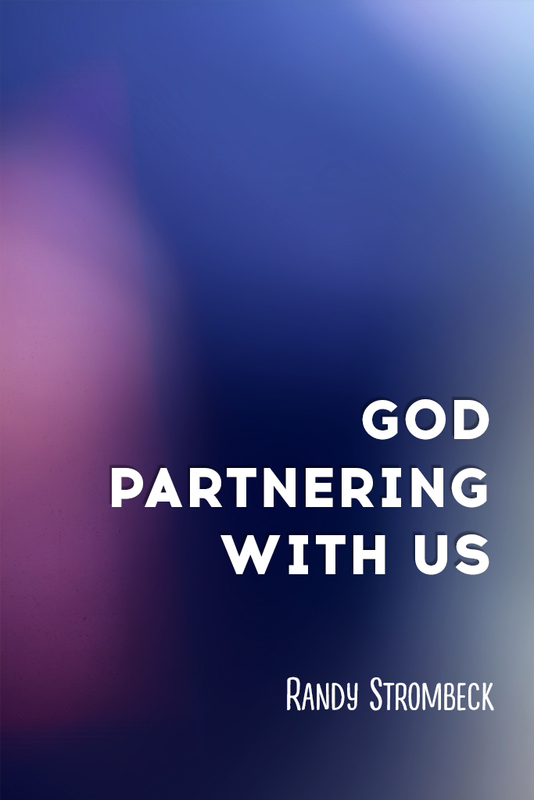 He begins to partner with us, not just us partnering with Him. He begins to trust us more with His heart and we understand who He is, what He went through for us and that we are to steward these things better and with more care. The more we mature, the more we see and demonstrate His heart for the things that matter to Him. Then these things begin to come out of us. When the decrease of directional or instructional communication begins, we sometimes stop moving forward. We begin to retreat because we are so dependent on this type of communication that we may think that we have done something wrong or He has stopped talking to us. Sometimes we might even think that He has left us alone, and then we start to become more self-focused. Many times, He is trying to show us through this process that He trusts us. He is helping us to mature and make good decisions for ourselves. There are many times where we ask the Lord a question. “Where do I go, what do I do, do I do this or that, etc?” and He responds like this, “Well you decide. What do you want to do, what is in your heart to do?” This is a loving, trusting heavenly Father teaching a son. The more we learn to walk like this, the more we grow and take on the responsibility and the weight that the Lord has given us. Now it was in the heart of my father David to build a house for the name of the Lord, the God of Israel. But the Lord said to my father David, “Because it was in your heart to build a house for My name, you did well that it was in your heart. Nevertheless, you shall not build the house, but your son who will be born to you, he will build the house for My name”. Now the Lord has fulfilled His word which He spoke. We must always remember to listen and be open to the Lord telling us to do something, or more importantly to not do something that we are getting ready to do. We should trust Him enough to tell us. This is not presumption or acting without Him. It is literally the Lord watching us, His sons and daughters, spread Him all over the earth. He walks with us every step of the way. A perfect example of this is the difference between Elijah and Elisha. Elijah followed the Lord in His commands. There are many examples in 1&2 Kings where the Lord told him to go somewhere or do something. Interestingly, the Lord did not instruct Elisha in this manner. In 2 Kings 2:21-22, it says that the Lord purified the waters according to the word of Elisha. It even says in 2 Kings 6:18 that the “Lord did according to the word of Elisha”. It is a sign of a mature son, walking in who he is, doing his father’s will because he knows His heart. Elisha was not instructed to pick up Elijah’s mantle or to strike the water. It was in his heart to do these things. He already knew the heart of his spiritual father Elijah and the heart of God the Father. John the Baptist was the fore runner of Christ himself. In John 3:28-30, he states speaking of Jesus, “He must increase, but I must decrease”. Many people have taken this statement upon themselves. However, we should not do this. John the Baptist was the one and only forerunner of Christ. We are not. John was speaking only about himself and not for us who came after him. If he meant that all of us had to decrease as well, he would have said “we” not “I”. If we are supposed to be and to manifest the fullness of the Lord and His bride on earth, how can we decrease? Most of the time this is false humility based in fear. True humility causes us to increase because HE is seen in and through us now. There are many times in the New Testament that the apostles responded to situations without being instructed directly by the Lord. They healed people, cast out demons, gave people of who they were and what they had inside them. The Holy Spirit was in them, and it simply came out of their heart to act. The Lord partnered with them and responded. Several places in the Bible it says to not lean on your own understanding or to go in your own way. These are all very true but they are speaking about doing things without the Lord. The difference is that He is in us and with us, coming out of us in hopefully everything that we do. He has given himself to us freely and without measure. Let us know who we are and walk accordingly.